A luminous, luxury bedroom with a fabulous ceiling with exposed beams, decorated in golden hues. The Suite Soleil has a private terrace with tables, chairs and sun-loungers that is perfect for enjoying an al fresco aperitif or intimate breakfast. This very large room has a desk area, armoire, and seating area. 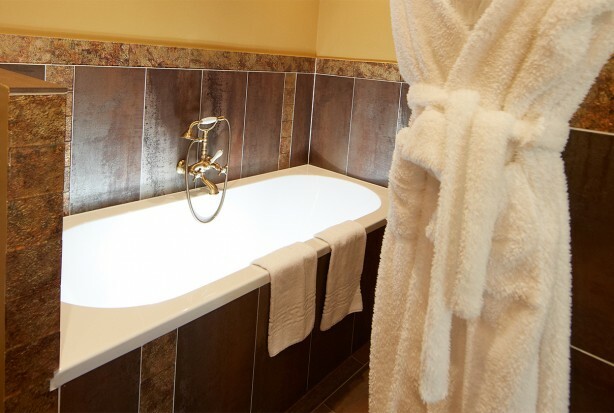 The open-plan bathroom has a hairdryer, robes and complementary Clarins® toiletries, with a bathtub and luxury shower.